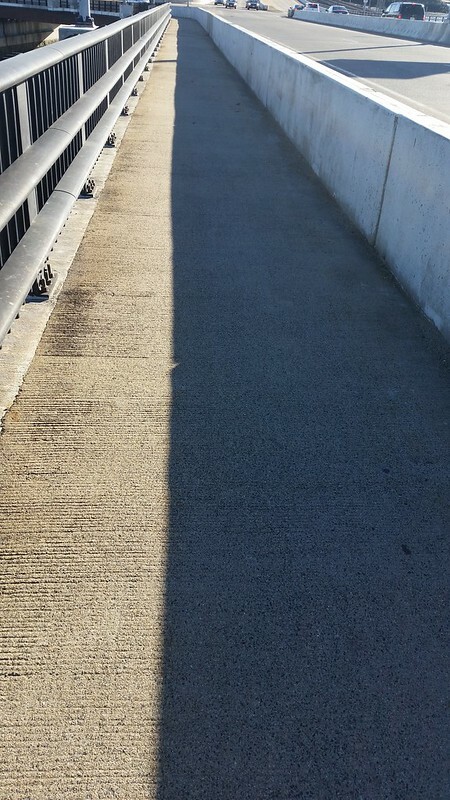 A sidewalk path on a bridge with a shadow splitting it up. It's not nearly as powerful or important image compared to yesterday, but not everything will be. I took this photo because the distinct line between shadow and sun spoke to me. It spoke to in some ways of divisiveness of the world or even of our minds and how many of us create binaries (good/bad, right/wrong) and apply them to everything we encounter.